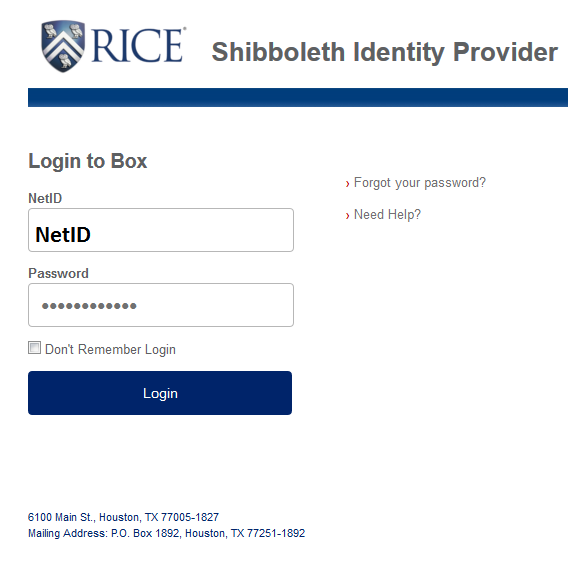 This document provides a general overview of getting started with Box at Rice University. Box at Rice University is an enterprise cloud-based storage and collaboration service that allows you to invite Rice colleagues and non-Rice colleagues to share files and folders in an online work space designed to access your files anywhere from any device with Internet access. Additionally, you can create unique links, set passwords, expiration date to retrieve, to any file or folder as a replacement to sending large email attachments.It is important to consider the contents of the information stored there. When using Box as a collaborative space for protected information including information classified as confidential or sensitive by Rice Policy 808, or information regulated through federal, state, or local laws or other information regulated by third party agreement. Open and Edit Files with Box Edit - Box Edit is an add-on feature that allows you to open and edit files stored in Box and is designed for all file types, browsers, and platforms. Saving Files to Box with Box Edit - After editing a file using Box Edit, simply save your changes in the native application. All changes will be saved back to Box automatically as a new version of the file. A collaborator is an individual who has been invited to share a file or a folder. Collaboration invites are a great way to share content for long term projects. You can invite people to a folder and monitor updates over time. When a user is added to a folder as a collaborator, the folder will appear in their All Files page. If you send a collaboration invitation to a person without a Box account, that person will be prompted to sign up with Box before being able to access the content. For more information about collaboration or sharing. Box Edit is an add-on feature that allows you to open and edit files store in Box. Designed for all file types, browsers, and platforms. Box Edit uses the default application installed on your computer to open and edit files: docx files open in Microsoft Word; pptx files open in Microsoft PowerPoint, etc. After editing a file using Box Edit, simply save your changes in the native application. All changes will be saved back to Box automatically as a new version of the file.